Researchers of the Department of Medical Oncology at Thomas Jefferson University recently discovered that a derivative of vitamin A, known as retinoic acid, helped turn pre-cancer cells back to normal healthy breast cells. Sandra V. Fernandez, PH.D., Assistant Research Professor of Medical Oncology at Thomas Jefferson University and her research team examined breast cancer cells in four categories each one representing a different stage of breast cancer: normal, precancerous, cancerous and fully aggressive. When Dr. Fernandez exposed these four types of breast cancer cells to retinoic acid, she noticed a strong change in the pre-cancerous cells. The pre-cancerous cells not only began to look more like normal cells in terms of their shape, but also changed their genetic signature back to normal. Dr. Fernandez observed that pre-cancerous cells have 443 genes that are either up or down-regulated on their way to becoming cancerous. All of these genes returned to normal levels after treatment with retinoic acid. She concluded that retinoic acid exerts effects on cancer cells in part via the modulation of the epigenome. Dr. Fernandez's experiment is able to indicate the effect of retinoic acid because she tested four distinct stages of breast cancer with retinoic acid treatment at the same time. Although still in an early stage, it has suggested that Retinoic acid only worked on pre-cancerous cells and only a narrow concentration of retinoic acid produced the anti cancer effects. Lower concentrations gave no change, and higher concentrations produced a smaller effect. This may be the reason that many clinical studies have not found benefits of vitamin A in treating cancer. Future research will determine how much retinoic acid to use in animal models, and whether these results can be applied to patients. Novel technologies and cutting edge research programs make Thomas Jefferson University one of the best freestanding academic medical centers in the nation. The university is also a well-funded research marketplace. It has received grants of $47.64 million from the National Institutes of Health in 2013 and more than $17 million as of April 15th 2014. Networking with researchers from such a richly funded university is important for many laboratory supply companies to get their proudcts and services into its laboratories. 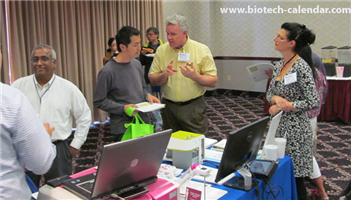 Biotechnology Calendar, Inc. brings together laboratory supply companies and researchers at Thomas Jefferson University each year for its annual Thomas Jefferson BioResearch Product Faire™ Event. The next show will be held on May 15th 2014. Biotechnology Calendar, Inc. has been producing on-campus vendor showcases for more than twenty years. These events also provide an excellent opportunity for academic researchers source the best tools, equipment, and technologies available. If you are an academic researcher or a laboratory supply company, and would like to attend the Thomas Jefferson BioResearch Product Faire™ Event on May 15th 2014, please click the button below to know more information about Thomas Jefferson University. If you would like to participate in more shows at different universities throughout the nation, please read: the National Show Schedule for 2014.